Transform this frame into a memo board using washable neon pens and your notes will light up! 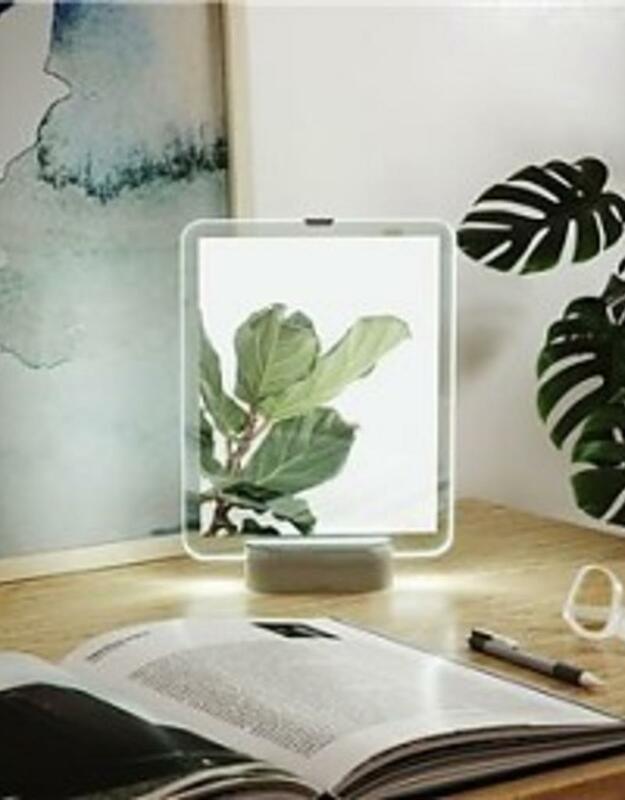 This unique floating picture frame also has an LED strip built into the frame’s base to create a halo-like glow. The panes can be placed as a portrait or landscape frame, giving you added versatility. 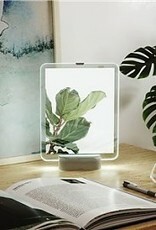 This unique picture frame can also serve as a nightlight and looks great on any bedside table. Due to the versatile floating frame, you aren’t just limited to regular photos when using it; place Instax photos, pressed leaves, tickets, or a certificate between the glass panes for an equally personalized, unique look. Powered by a USB cable with an on/off switch.